Are outdoor rain barrels allowed? YES !! Outdoor rain barrles are allowed. Get “Legal” Outdoor Water from Rain Barrels! How do I get my mailbox repaired or replaced? The mail type of set for the community is called “The PROVINCIAL”. 3) They both said that they cannot guarantee that the mailbox will still be obtainable but the original spec is popular and has been available for at least 5 years. Rust – at the hinges and screw holes. The plastic numbers fade and sometimes fall off since they are glued on. The paint on the mailbox fades. 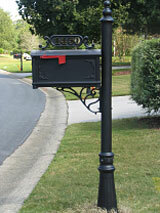 Since Global Home Product installed our mailboxes, they will perform maintenance and do have some replacement parts. Just remember that the mailbox and post is sold as a SET. They typically don’t sell just the post or just the mailbox. You could always ask though sometimes they have some leftovers. They do not do warranty or repair work on mailboxes they did not install. Of course, they will do warranty work on the ones they install. They do not typically do maintenance and repairs unless they installed the whole community. 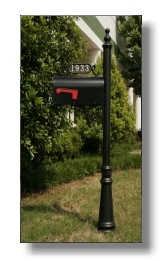 The mailbox and post is sold as a SET. What are the ACC approved deck/fence stains? Owners may use clear sealants on their decks without Architectural Control Committee (ACC) approval. Additionally, stains that are on the List of Pre-approved Deck Stains may also be used without ACC approval. Any other selections require require the submission of a ACC Form. What if I want to use a stain not on the List of Pre-approved Deck Stains? Any stains not on the List require ACC approval. The ACC will typically approve transparent stains, also known as wood toners. The ACC will not approve semi-transparent stains and solid color stains. NOTE: The ACC strives to keep the list current and will review it at least annually but can make no guarantees with regard to availblity from the retailer or the manufacturer. How may I pay my assessment? Payments may be paid by using the payment coupons that owners will receive each new year. Make checks payable to Lakefield Manor HOA. Payments are mailed to the property management company. Additionally, payments may be submitted online using the All-in-One Community Management web site. For the 2011 fiscal year, the annual assessment is $700. I'm a new homeowner. How do I get a payment coupon booklet? Typically HOA dues are included during the closing of the house sale. But new homeowners should contact the All-In-One Community Manager to establish the initial payment of dues and to acquire payment coupons. Any assessment, or installment thereof, not paid within 30 days after the Due Date shall accrue a late charge on the 16th day of each month in the amount of $12.50. A late fee and cost of collection fee shall only be imposed once for the same delinquent period. Complete assessment collection procedures may be found in the Rules & Resolutions section of this web site, specifically the Assessment Collection Procedures page. What are the specific items being checked? The property is being reviewed for appearance, cleanliness, and overall condition. What happens if I receive a violation notice? The procedures governing Lot Inspection Violations is described under the Upkeep of Residential Lots sections of the Rules/Regulations page. When is my lot inspected? that the Board has approved. Residents may find it useful to know what is inspected to ensure that their properties are within accepted guidelines.